Inici » Converses » European Union Contemporary Architecture Prize – Mies van der Rohe Prize 2019. A social housing in Formentera, work of IBAVI, Sant Ferran, Formentera among the 40 selected. European Union Contemporary Architecture Prize – Mies van der Rohe Prize 2019. A social housing in Formentera, work of IBAVI, Sant Ferran, Formentera among the 40 selected. selected to compete for the Prize for Contemporary Architecture of the European Union - Mies van der Rohe Award 2019. The jury formed by Dorte Mandrup, George Arbid, Angelika Fitz, Ştefan Ghenciulescu, Kamiel Klaasse, María Langarita and Frank McDonald, met for three days in Barcelona to discuss the most relevant challenges faced by contemporary European society and its architecture. 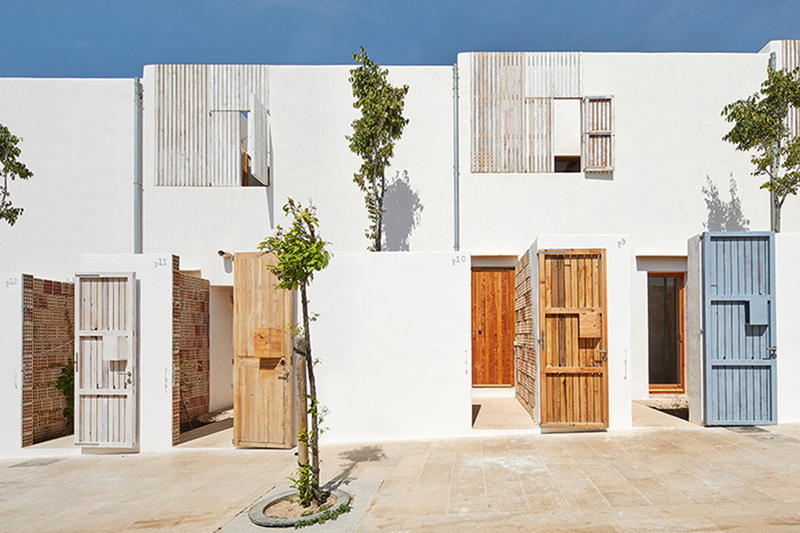 A social housing in Formentera, work of IBAVI Life Reusing Posidonia / 14 social dwellings in Sant Ferran, Formentera is among the 40 selected. In Spain there are 5 other works built: Plasencia Auditorium and Congress Center – selgascano; Civic Center Lleialtat Santsenca – HARQUITECTES; Desert City – GARCIAGERMAN ARCHITECTS; House 1413 – HARQUITECTES and Solo House – OFFICE Kersten Geers David Van Severen. In addition, there are 3 Spanish studies projects built in: Belgium: De Krook library – Coussée & Goris architecten, RCR Arquitectes; Estonia: Arvo Pärt center – Nieto Sobejano Architects; and in Poland: Silesia University’s Radio and Television department – BAAS architecture, Grupa 5 Architekci, Małeccy Biuro Projektowe.